Once, space to park and hangar your aircraft, both at home and on the road, was plentiful and reasonably priced. Most turbine aircraft were fewer than 60 feet in length and wingspan, with tail heights under 24 feet. Most were light or midsize jets, and it was easy to “stack” a hangar, overlapping the wings of larger aircraft with those of smaller jets, thus maximizing the number of aircraft protected in each building. 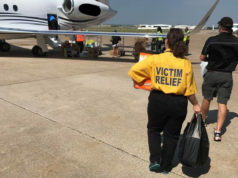 There were plenty of trained aviation professionals available to staff a Fixed Base Operation (FBO). That is no longer so, due in equal measure to evolving aircraft design, airport development standards, staffing requirements, and the sheer number of aircraft in service today. The change began in 1977, when Learjet introduced a dramatic modification, replacing its trademark “tip tanks” on each wing with winglets. These aft-leaning, upward bends increased the aircraft’s nonstop range by more than 5% using the same amount of fuel. Today most business jets are winglet-equipped, making the fleet more fuel efficient, extending the aircrafts’ nonstop range, and reducing your per-hour operating costs. 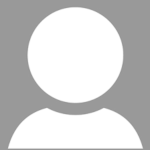 The unintended consequence? Now every aircraft so equipped takes up more room on the ramp. 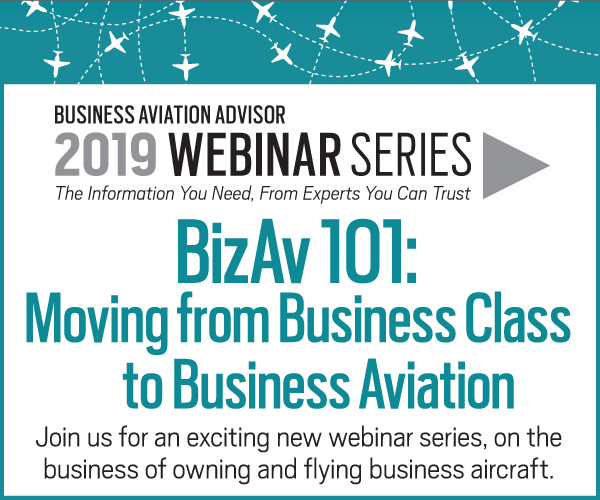 FBOs no longer can stack aircraft in the hangar as efficiently and effectively as they did in the past. 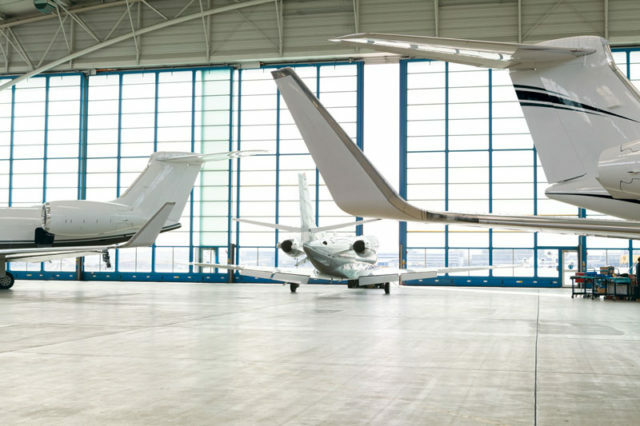 With more than 33,000 business turbine aircraft in service today, ramp and hangar space is at a premium. That worldwide fleet will grow to more than 41,000 aircraft by 2027, according to the 2017 Honeywell, JETNET, and Teal Group forecasts. And thanks to expanding international trade, more than 57% of those will be long-range, large-cabin aircraft. Think Gulfstream 650ER (99-foot wingspan), Falcon 8x (86 feet), Global 5000 (94 feet), and Lineage (94 feet). The footprints for these newer models run 30% to 40% larger than older aircraft, so new aircraft arrivals now fill existing hangars much faster than did their predecessors. Many existing hangars cannot accommodate these newer aircraft at all. Today’s large cabin aircraft run 25 to 28 feet in height, including a tail-mounted satellite antenna for cockpit and cabin connectivity, and are unable to clear the top rails of older hangar doors. They also have a much greater turning radius, which requires more ramp space to maneuver, and greater care by experienced line technicians exercised when towing them. Sufficient space and additional staff are among the challenges facing FBOs today. As the industry seeks to build enough ramps and hangars to accommodate these new aircraft, available open land at conveniently located airports is at a premium. All staff today must pass FAA and TSA background checks, and then be properly trained to marshal, tow, and park your aircraft. While the minimum standards for ramp and hangar construction vary from airport to airport, the basic requirements do not. 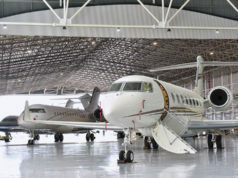 Hangars large enough to accommodate the full range of business jets likely will require foam fire suppression, not just sprinklers. Ramps must meet load-bearing specifications, which can run as high as 100,000 pounds for large cabin and bizliner jets. Most airports now require that the FBO executive terminal offer crew and passenger lounges, a flight planning room, conference room, public use telephones, and restrooms. 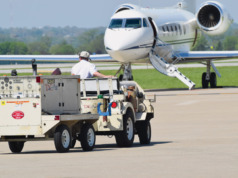 In addition to commercial liability insurance for people and property, an FBO must carry “hangar keeper’s” insurance to protect you and your aircraft from damage resulting from any staff negligence. 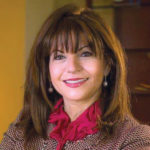 Maria A. Sastre, President and Chief Operating Officer for Signature Flight Support’s global operations, is responsible for the daily operations of Signature’s worldwide network of fixed base operations and maintenance centers.